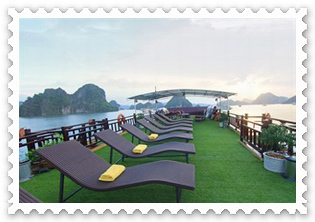 7h45 � 8h15: Our driver and tour guide will pick you up at your hotel or our office depart to Ha long Bay, spend 3,5 hours . On the haft way stop for short break in Hai Duong Province 25 minutes. 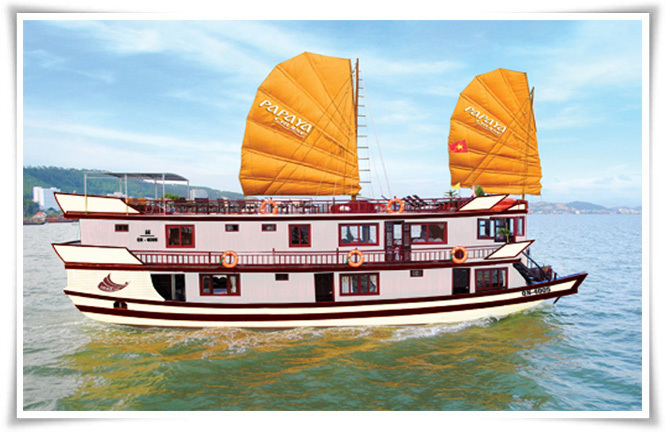 12h00 � 12h15: Arrive Bai Chay port, enjoy welcome drink, crew briefing before checking in cabin. Start cruising and enjoy a Special lunch with Vietnamese Traditional Dishes while the boat slowly slides on romantic waves of the sea to the legendary fishing village. 15h30: Spend one hour Kayaking on emerald water of the world heritage. 16h30: Our cruise will take you to the Titov Island, It is noted for having a viewpoint at its peak which affords splendid views all around Halong Bay. Or you can enjoy your swimming on romance Sandy beach. 17h30: Return to the Boat have sunset Party and Relaxing on Sun deck, boat anchors at Sung Sot area � the safest place for overnight. 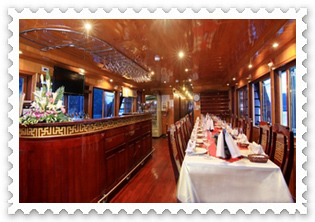 19h30:A welcome drink wine serves, Enjoy dinner with Vietnamese cuisine. 7h00: have breakfast, after breakfast visit to Pearl farm where you can see real pearl products and how people breed pearls. 8h00:Then boat goes to Van Gia fishing village and change to a smaller boat cruising south to Lan Ha bay. 9h00:The boat stop at Viet Hai wharf, Then riding a bicycle 3km to Viet Hai village. Here you will have a short trek is one of the part of Cat Ba National Park. 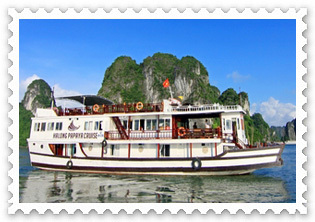 11h00: Riding back to the Wharf, transfer to the Boat cruising to Lan Ha Bay, have lunch on the boat. 13h00: Visiting Monkey Island, the home of wild monkeys and endangered white head langur. 15h00: Cruising to Beo tourist port, for the bus to Cat Ba town after 5 minutes arriving to the Hotel, check in and free time explore Cat Ba town. 19h00: have dinner in the Restaurant, overnight in Hotel. 7h00: Have breakfast in the Hotel. 8h00:Our bus will transfer you to Beo tourist harbor cruise back to Ha Long Bay, Transfer to Big Cruising back to Ha long Tourist Wharf. 11h30: Arriving to Ha long City, have lunch in the Restaurant. 12h30: Get on the bus coming back to Ha noi, on the haft way stop for short break 25 minutes. 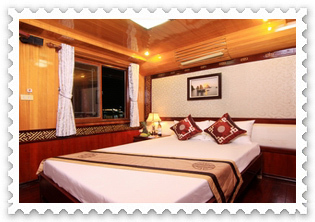 Address: 6 Thach Cau street, Long Bien District, Hanoi, Vietnam.